It’s week 5 of the Great British Bake Off and I must admit the initial news of its move to Channel 4 and subsequent announcements of Mel, Sue and Mary’s resignations have taken the shine off of it slightly. 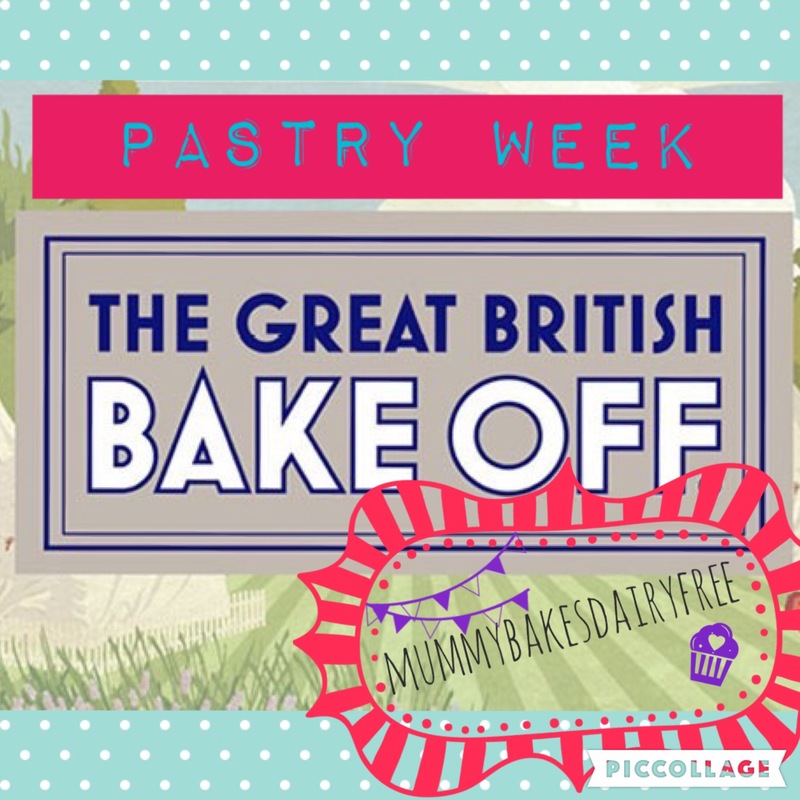 However I am enjoying the #gbbomummybakesdairyfree challenge of creating allergy friendly versions and this week it’s pastry’s turn! With Danish pastries for the signature bakes, a Bakewell tart for the technical and filo amuse bouches for the showstopper, there was a lot of choice for what to bake. In the end I decided to tackle the cherry Bakewell tart. Except of course we’re dairy and egg free. Ok that’s doable. 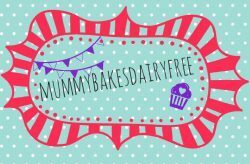 Oh yes and Mr.Mummybakesdairyfree has an almond allergy so we’re a nut free house. This makes it a little more tricky seeing as almond is a key ingredient in the frangipane filling! 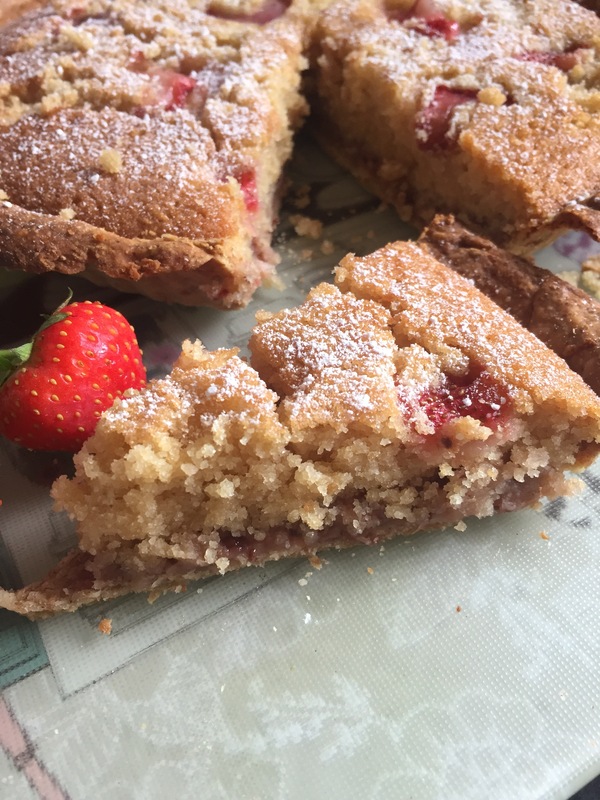 I looked at a range of recipes and came up with a vegan, nut free strawberry Bakewell tart. It may not be the traditional Bakewell tart but bared a nice resemblance to it. It also gave me an opportunity to try making strawberry chia jam, something that I have been meaning to make for ages. In keeping with my aim to create healthy, allergy friendly recipes for the whole family, I reduced the amount of sugar where possible, added wholewheat flour to the pastry and used a refined sugar free jam. I was pretty pleased with how it turned out and most importantly little one likes it as well!! I used 4 tbsp homemade strawberry chia jam. 1. In a large bowl soft together the flour and add the dairy free butter. Using your finger tips rubs the flour and butter together to make breadcrumbs. Add cold water a tbsp at a time and stir until a dough is formed. I used 3 tbsp of water. 2. Place the dough onto a floured board and roll out into a circle 3-5mm thick. Then carefully transfer into a greased flan tin (23cm). Using a little piece of excess dough press the dough into the ridges of the tin. Use a fork to gently prick the surface of the pastry and then line with baking paper. Fill the tin with baking beans and pop into the fridge to chill for 30 minutes. 3. Whilst the pastry chills, pre heat the oven to 190c. 4. Remove the pastry case from the fridge and pop into oven to blind bake for 30 minutes. I remove the baking beans and paper for the last ten minutes. 5. Leave the pastry case to one side to cool slightly whilst I make the filling. 6. In a large bowl add all of the ingredients for the filling and mix with an electric mixer until all combined. Easy! 7. Spoon the jam into the pastry case and spread out evenly. Then carefully pour in the cake filling. Use a palette knife to smooth the cake batter. Top the tart with some sliced strawberries. 8. Reduce the oven temperature to 180c and pop into bake for 45 minutes. Cover with foil if the pastry starts to get too dark. An inserted knife in the centre of the tart should come out clean when the tart is cooked. 9. Remove from the oven and allow to cool before dusting lightly with icing sugar.